Amazing location and beautiful building. It gave a great feeling of history. Could even get a coffee on the evening and with breakfast which only cold buffet, I got the impression that they put the stuff in the fridges on Monday and left them there all week. 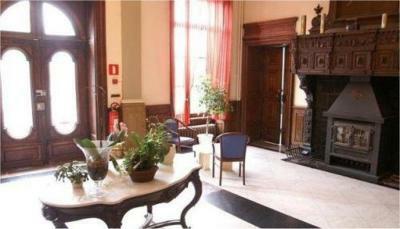 Lovely old château with charm and character. Plenty of parking. Staff (although only two of them) were extremely nice and helpful. Cycle storage. Beautiful old building. Nice brasserie nearby. Big room. Bath with water jets. The bed was actually very comfortable, and the breakfast had plenty to eat. Beautiful old house. 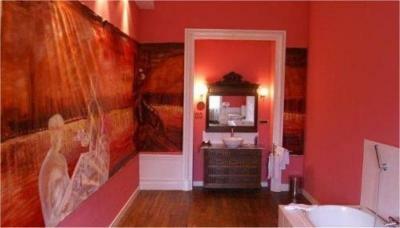 Huge room, lovely spa bath. Feels a bit run down and so much more could be done to it to make it more attractive to stay. Shame about the power station ruining the view. The general outlook of the premise appealed to the eye but the building is awfully dilapidated. Atmospheric old building. Very helpful staff. Wifi in rooms.Restaurant open on the nights we stayed - limited menu but delicious and good value for money. Three course Menu du Jour 19 /22 euro. Staff happy to make changes. Very nice self service breakfast. Close to Huy. 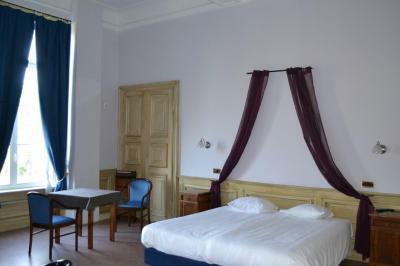 La Neuville provides you with comfortable rooms equipped with a TV and minibar. There is free Wi-Fi. There is a lounge and reading area. Free parking is available in the garage for motorcycles and bicycles. 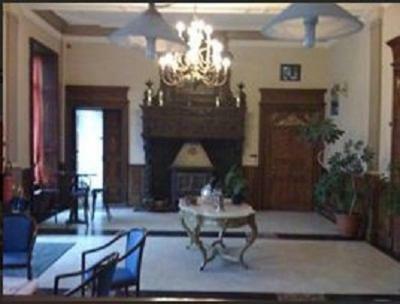 This property also has one of the top-rated locations in Tihange! Guests are happier about it compared to other properties in the area. 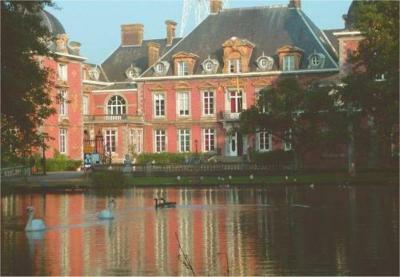 When would you like to stay at Domaine Du Chateau De La Neuville? This spacious room features a TV, sitting area and desk. 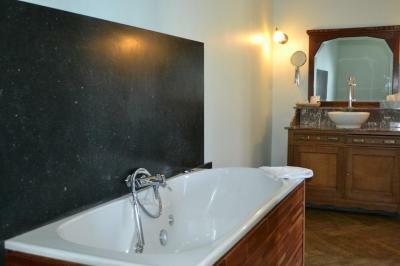 The bathroom includes a spa tub. This room has a TV and sitting area. 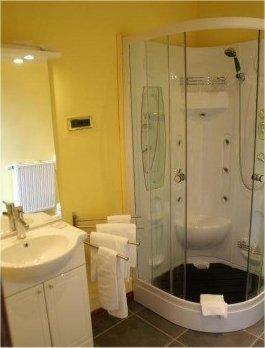 The bathroom includes a spa tub. 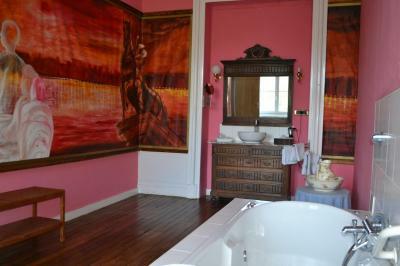 This room has a TV and bathroom with a shower or bath. 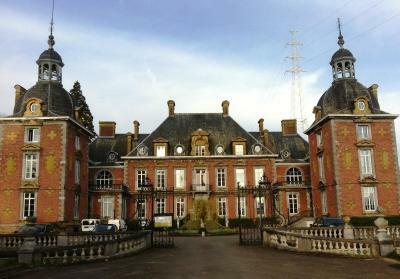 House Rules Domaine Du Chateau De La Neuville takes special requests – add in the next step! Domaine Du Chateau De La Neuville accepts these cards and reserves the right to temporarily hold an amount prior to arrival. Please note that the restaurant is open every day for lunch and on Friday and Saturday for dinner. Guests are kindly requested to inform the hotel of their estimated time of arrival if they are expecting to arrive after 20:00. This can be noted in the Comments Box during booking or by contacting the hotel/property using the contact details found on the booking confirmation. Please note that on Sundays and bank holidays, arrivals are until 18:00, and guests are requested to inform the property of their time of arrival in advance. Contact details can be found on the booking confirmation. Located a stone throw from the nuclear plant of Tihange... something that isn't mentioned anywhere... Old, cold, dark uncomfortable so called castle with misers management. No lights in the staircases, radiators turned off with no thermostat in the improvised reception hall with no comfortable place to stay in the evenings. You can only sit on your bed to look at a tiny TV placed way too far and way too high on the wall. Even the bedroom wasn't pre-heated before we arrived in the cold of December. No blanket on the bed, we had to ask for one. Miserable, grim and made to look cheap with a noisy Coca Cola vending machine on the landing of the ( once in the past ) majestic but now derelict staircase. On the other hand, the place seems to be shared with a restaurant called "Le Lokal" and they are great people, very nice people. The food is very good too but you need to reserve in advance. We didn't and they made every effort to accommodate us. Highly recommended! Apparently, due to the sharing of the hotel section and the restaurant there is a very awkward system of doors with coded entrance after the castel's entrance door that can never close properly due to it being in dire need of repairs, like the stairs... Conclusion... you can eat there but dion't go there to enjoy a nice comfy room in a romantic castle because it's all quite the contrary. The outside of the mansion and nothing else. bugs in the room. very very filthy. Just a little dated with old fashioned decorations but still nice. Not within walking distance of town. Nucleur powerstation across the road. Room looked empty and didnt feel homely. My room was like an oven facing the sun all day and the floor was bare wood. It looks like they are restoring the Chateau and I think they are trying but it is very basic. There are no scenic walks or even a neighbourhood, there is a Boulangerie 10 mins down the road and the food was ok but pricey and that is it! On the site is an indication that the place is accessible for handicapped people. But there is no lift and a lot of stairways Only when we arrived there was someone to give us the key. In the morning we saw nobody. It was difficult to find. The coordinates were not right. They showed a place 30 km farther away.